The presented room availability, rates and discounts are actual and final for all our 160 hotels in Nerja. 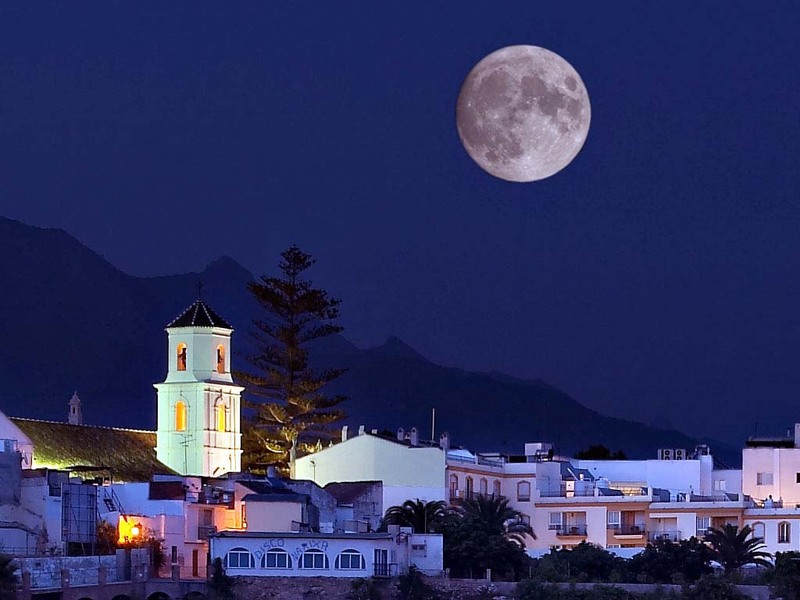 First settlements on the territory of the modern Nerja appeared yet in the prehistoric times. The best proof for this is the rock paintings, which have been discovered in caves. The first drawings were discovered by accident - local boys reported about them. It happened in 1959. Since that time Nerja has been visited by thousands of tourists from all over the world, who come to look at the cave paintings. The majority of the excursion routes are also associated with these wonder caves, some of which have been converted into archaeological museums and carefully keep collections of valuable artifacts. As the number of visitors grows every year, more tourist facilities are needed. However, there are still no high-rise buildings in the town. As a rule, here are built of two- or three-story buildings, which are stretched on long streets along the coast. The observation area called the Balcony of Europe has become one of the most popular places of Nerja. The area is built on one of the rocks near the shore. Not far away from the area you will find a large restaurant with glass walls, which also features beautiful views of the coast. In this town you will find numerous bars and restaurants with open terraces; the majority of them are located on the cliffs right above the sea. In general Nerja can be described as calm and quiet. There are no noisy discos and nightclubs here, but instead of them you will find a huge selection of tourist routes that will be definitely liked by tourists who enjoy recreation and sport.